Individual members of the Euro Crime review team will be revealing their favourite European/translated reads over the next few days which will then be followed by a post revealing the overall Euro Crime favourite authors, titles and translators of 2014. Past and present storylines revolve around a small island where a family was slaughtered with the exception of a young girl, who returns to the island as an adult after another tragedy. The case is very personal for one of the police team. Another excellent debut, set in Cambodia. It's a claustrophobic read with the author using her knowledge of land-mine clearance to pull the reader into the plight of this country. If you like Lackberg then try Ohlsson. The personal lives of the police team play a part in the story and the cold case they have to solve impacts on them all. If you liked the X-Files episodes where they are stranded in a frozen part of the world then you'll like this. 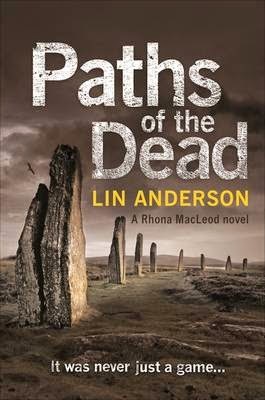 A very spooky tale set in Greenland with strange noises, human bones and unfriendly local residents. (Read the Review on Euro Crime by Maxine). Usually by now I would have posted about the Euro Crime team's favourite discoveries however I am just recovering from a lurgy which left me feeling quite rubbish. However favourite discoveries and favourite reads will be revealed soon so do keep an eye out. 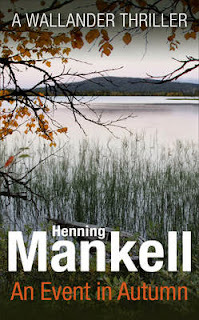 This Wallander novella, AN EVENT IN AUTUMN was written in 2004 as a freebie for Dutch crime readers and has been televised in the Kenneth Branagh Wallander series and is now available in English. It is set before the final Wallander book, THE TROUBLED MAN, and Wallander is house hunting. His colleague Martinson suggests a house owned by a cousin of his wife's, out in the country. When Wallander visits however, he discovers a skeletal hand in the back garden. The story is a straightforward investigation into the identity of the skeleton, which has been there many years, and into the history of the house's previous owners. It features a typically grumpy and reflective Wallander and is entertaining enough for fans wanting a final glimpse of this iconic character. Of even more interest is the ten or so pages at the back: 'Mankell on Wallander' which covers "how it started, how it finished and what happened in between". Mankell didn't want to just write Wallanders books because they were popular with readers but wanted to use them to say something and AN EVENT IN AUTUMN is a hint of what could have happened if Mankell hadn't been so principled. 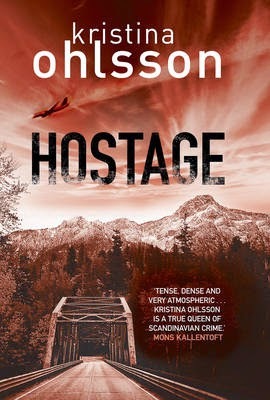 Granted it is fairly short but it feels quite sparse, lacking the social commentary that the Wallander books and Swedish crime fiction in general is associated with. Unfortunately this is it now for the series as Mankell concludes his afterword with "There are no more stories about Kurt Wallander". AN EVENT IN AUTUMN is one for existing fans definitely, but readers new to the series might be better off starting with book one, FACELESS KILLERS, instead. 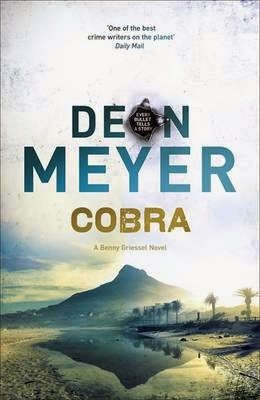 This extraordinary book which has just been republished, is set in America in 1969, during the Vietnam War and is written as an autobiography of Turner Raines, originally from Texas but currently living and working in New York. Raines is working as a private investigator and he is hired by a lot of individual mothers of young men, who to avoid being drafted into the US forces and to avoid being sent to Vietnam have escaped to Canada. He goes to Toronto on a number of different occasions to check that the son of a particular client is residing there and is therefore able to reassure the client. When Raines returns from Canada on a particular date he discovers to his horror that Mel Kissing, his long term childhood friend, has been murdered. He was killed by having an ice-pick slammed into his skull and unfortunately, there are fingerprints on the death implement that belong to Turner Raines. Once the police have examined his passport and checked the truth of his alibi he is released from custody and he starts to check what happened to cause the death of Mel. Amongst Mel's belongings is a photograph of a number of his friends who had served in the US forces at that time and who had been sent to "Nam" and been involved in an incident very similar to the "My Lai Massacre" of 1968 with many unarmed Vietnamese slaughtered. All of the military participants had then returned to their base and had not been punished but had been curiously honourably discharged and returned to the USA. Raines decides to investigate by interviewing these old comrades as Mel Kissing was a reporter for the Village Voice and Raines believes that is what he would have done. Raines notices that he appears to under surveillance wherever he goes and he wonders by whom. He drives all over the US and wherever he goes he notices the same car behind him. The book covers a lot of ground and doesn't only stick to 1969 but goes back a number of years to Raines' childhood. Contemporary events such as Woodstock and people such as Lyndon Johnson, Trickie Dickie, Norman Mailer and Abbie Hoffman are mentioned in the story and add atmosphere to great effect. 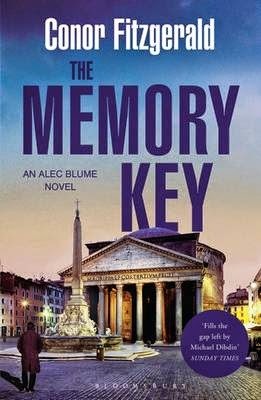 There is also a lot of humour to the story but it is quite different from his series concerning Inspector Troy. It is not a fast read but it is to be enjoyed and savoured slowly. 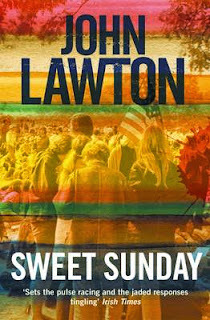 I enjoyed it tremendously and just wished that Lawton wrote a lot more books. This book was originally published by Weidenfeld & Nicolson in 2002 and is being republished by Grove Press to introduce a new readership to John Lawton stories. Little, Brown Book Group is delighted to announce the planned publication of eight short stories alongside the second series of ITV’s Kudos-produced smash hit, BAFTA-award-winning show, Broadchurch. This groundbreaking cross-media collection of stories will be published exclusively as ebooks. A creative first, they will be released at midnight following the broadcast of each episode. The stories, written by bestselling author Erin Kelly in close collaboration with Broadchurch creator Chris Chibnall, will consist of 100% original material that is tied closely to that evening’s episode. The stories will offer an unrivalled opportunity for Broadchurch fans to spend more time with the cast of fantastic characters, allowing them to delve deeper into the different characters’ lives, histories and secrets. The stories are designed to be watched with specific episodes of the show, expanding on the viewer’s enjoyment of the TV series in a completely innovative fashion. They will retail at 99p each. ERIN KELLY wrote the official Broadchurch novel, published August 2014. Broadchurch was selected as a prestigious Novel of the Year (2014) by Kirkus Reviews in the USA and has been translated into eleven languages around the world, garnering international critical acclaim and bestseller status. Here are eight reviews which have been added to the Euro Crime website today, two have appeared on the blog since last time, and six are completely new. 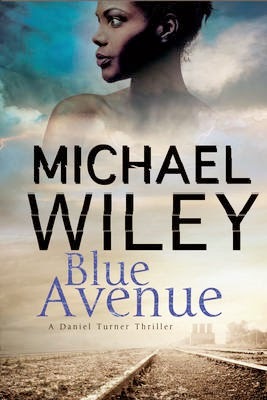 and Geoff Jones reviews Michael Wiley's Blue Avenue set in Florida. The dance programme, Lively Toes, is a great favourite with the TV viewers who have their favourite professional dancers and celebrity partners. However, when one of the professional dancers, Jess Allward, is found dead in her dressing room, at the start of the live TV programme there is doubt whether it will be able to go ahead. As more information about Jess's background and the relationships between her and her colleagues comes to light the police have plenty of suspects but no one seems to have any opportunity. However, the police unexpectedly find assistance from the amateur sleuth - and professional dancer - Anton Caesar, who uses his inside knowledge to get to the truth. 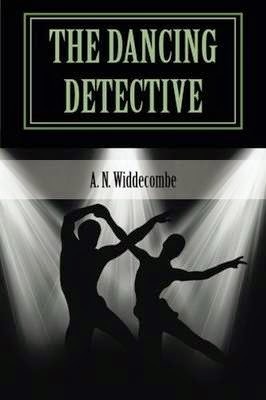 This story is set in the world of a TV dance programme for celebrities and anyone who has watched Strictly Come Dancing will recognise some of the characters in this book. Some of them, such as the politician dancer, Cobb Grainger, are well drawn and I cannot help but think he may well be based on someone from the author's political background, however others are quite sketchily drawn in and this does detract a bit from the idea of a puzzle as it indicates quite clearly the small group of true suspects. Saying that, the ending came as quite a surprise, the author seeming to have taken to heart Ms Christie's technique of red herrings to keep the reader in the dark. This means that if you are a reader who likes to work out the puzzle provided by a murder mystery before the denouement, you might find that you do not have all the facts that you need. 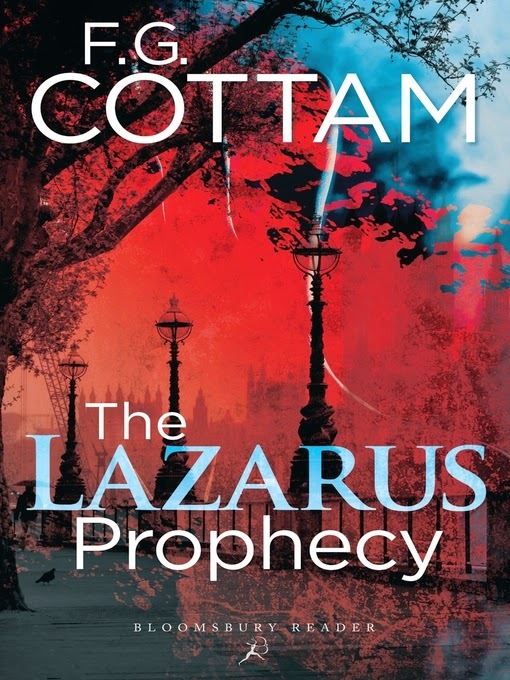 The book is a light read with no unpleasantness - even the description of the murder is very low key - but great fun especially if you are a fan of the TV programme.